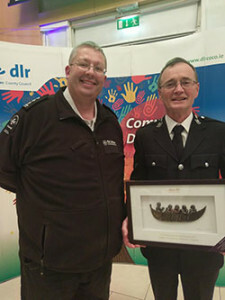 We’re delighted and proud of our long standing member, Peter Ryan MStJ who was awarded the Volunteer of the Year Award in the Safety and Emergency Services Sector at tonight’s Celebration of Volunteerism hosted by DLRCoCo. It was a fantastic ceremony which celebrated volunteering across many differing sectors within our county. Well done to all volunteers who were nominated!